Watch the Keith Green concert here! Keith Green concert Wednesday afternoon! In the last few years I've found some great music and stories through the gang over at the Rabbit Room Dot Com. 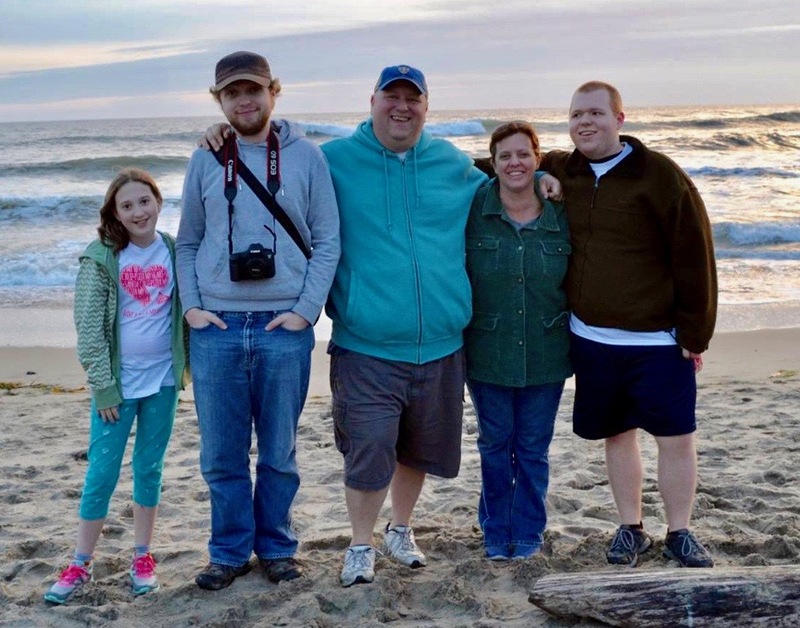 They always have thoughtful, creative and helpful posts on the blog and good stuff in the store. If you frequent my blog, I'm sure you've noticed I like these guys. But hey, good is good. 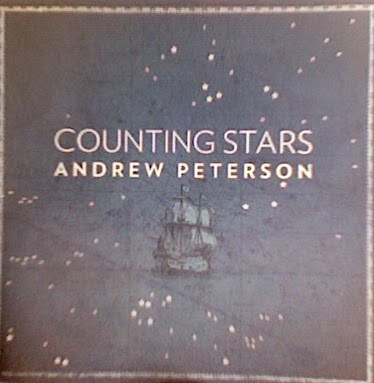 My friend Aaron surprised me by pre-ordering a two pack of "Counting Stars", the new album from Andrew Peterson and it arrived this week. If you are already a fan of Andrew Peterson, this album will not disappoint. If you've never heard of him, this would be a great place to jump in. "Counting Stars" is an acoustic driven album full of the good, deep, life affirming stuff of longing, fear, hope, disappointment, work, family, imagination, faith and love. So yeah, I like it. So there. Immediately after the career of “artist” was invented came the career of “critic”. M. Night Shyamalan has come under some heavy criticism for his recent film “The Last Air Bender” and there are lots of “last” jokes going on out there in reference to Shymalan’s career. The people who hated it REALLY hated it. It’s one of the lowest scores ever on the Tomatometer. I’ll admit it right here, I’m a fan of this writer/director. I like his pace and style. I like his slow, small way of telling a story. I like that his characters talk strangely...just off center of how real people talk. Every shot is important to him. Usually, the information in a scene unfolds unexpectedly. His movies kind of dawn on you. I liked “The Last Air Bender”. This movie is quite a departure for Shyamalan. It’s PG and made with kids in mind. Most of his films have been PG-13 and with more mature themes. 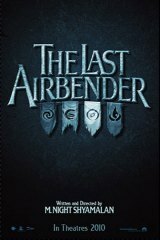 It’s based on source material, Avatar: The Last Air Bender, a nickelodeon produced Japanese style animated series. It tells a large, sweeping story about fantasy cultures in a whole new world. Most of Shyamalan’s films are based in Philadelphia and tell small stories happening within extraordinary circumstances (alien invasions, killer plants, narfs in the pool, etc.). I liked how faithful it was to the show. My boys and I had been watching the first season to ready ourselves for the film. Many shots were tips of the hat to the show. I liked it’s mythic tone, there’s a history that I believed. I liked the artistry of the cultures, costumes, creatures and landscapes. I didn’t mind that the people spoke in an other-worldly way. I didn’t mind that some rules of the world have to just be accepted. I enjoyed myself. My kids liked it. The whole row of children they went to see it with liked it. Did it rely a bit too much on narration to drive the story along? Yes. It was the story arc of the entire first season of the show. It was maybe a bit too much to take on as one movie. Did it leave out some of the whimsy of the cartoon? Yes, I missed some of the silliness and more carefree spirit that was in the show. Shymalan tends toward darker, subtler humor. Did I see the terrible 3-D version that everyone’s so angry about? No. I’m not a fan of the 3-D thing. I prefer my movies 3-Dollars less thank you very much. What’s at the heart of me posting my own review? Well, after finally seeing the movie with so many horrendous reviews out there, I walked out of the theater thinking, “Why all the violent, angry language about this movie?” And it got me to thinking about our critical, savvy, “impress me” culture out there. If “The Wizard of Oz” was made today, we would say the acting is bad and the story is cheesy. If “The Arabian Nights” was written today we would be angry because they never tell us how the magic works and that some of the stories end without an ounce of conflict or darkness. This is not my favorite Shyamalan movie (it’s going to be hard to beat “Signs”) but I liked it. It was good time to spend with a friend on a Summer evening. With beautiful shots, fun action and themes of facing your fears, letting go of hurts and choosing sacrifice, this was a good movie to see. Thanks Mr. Shyamalan. Hope it’s not your last. A friend at church gave us some really good stuff from her garden (thanks Sarah!) and Sam and I decided to make some salsa. 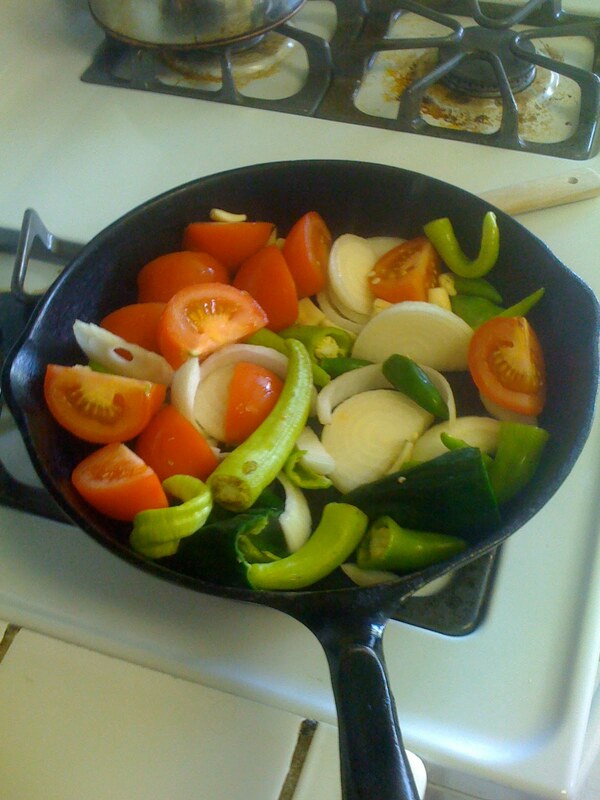 Now I learned to make salsa from a friend who had learned to make salsa from her old, Mexican Grandmother-in-law. So somewhere back there, this is the real deal. 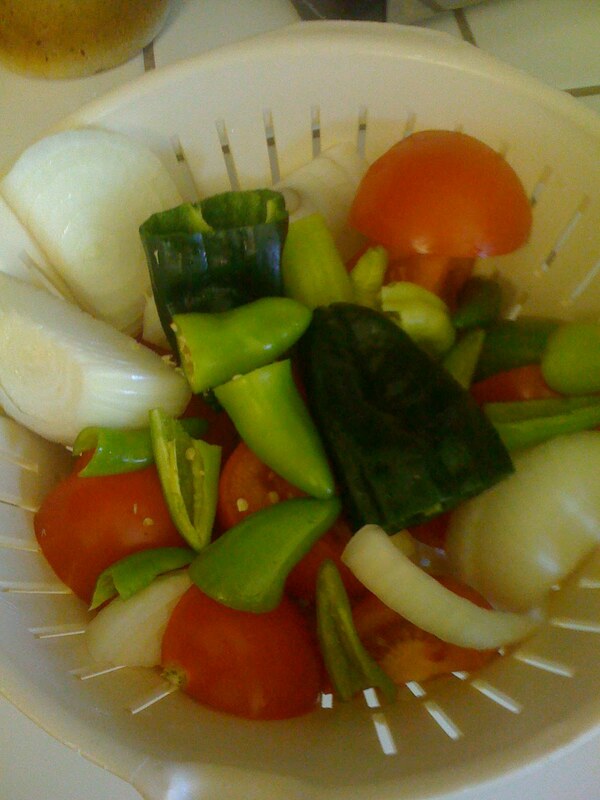 We started with lots of fresh, organic chilies (Serrano, pablano, jalapeno and there might have been an Anaheim in there somewhere), a few tomatoes, a whole white onion and lots of garlic. We cut 'em into big chunks and, well, it was beautiful. Sam decided we should seed 4 of the 8 Serrano chilies to cut the scorching heat a bit. 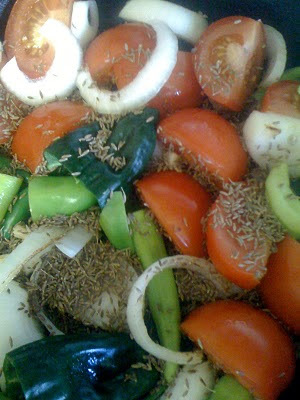 The heat in a chili is mostly in the seeds and the white, meaty bit inside. Then we threw everything in a dry, hot cast iron skillet (no oil, no nothin) and let the sweet veggies get nice and seared. Last in the hot pan is some whole cumin seeds. This is the spice that makes stuff taste Mexicany...mmmmmmm. Then everybody goes in the blender with a little salt to taste. When it's all flowing together nicely, cool it off in the fridge and it's some good salsa. 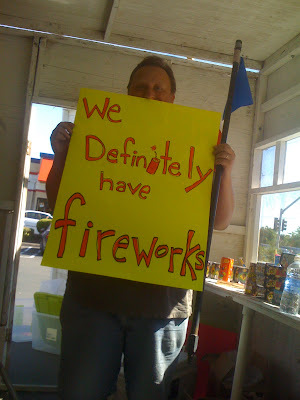 We got some good reviews at our 4th of July doins we went to. It's nice and spicy, flavorful and good. Ours came out a little green as it was mostly chilies. Salsa is fun because you can play around with heat and different chilies, textures and whatnot. This took us about 20 minutes and was so easy. Next time you're reaching for another boring jar of Pace, maybe go over to the produce section (or better yet, the farmers market (or better yet, your friend's garden! 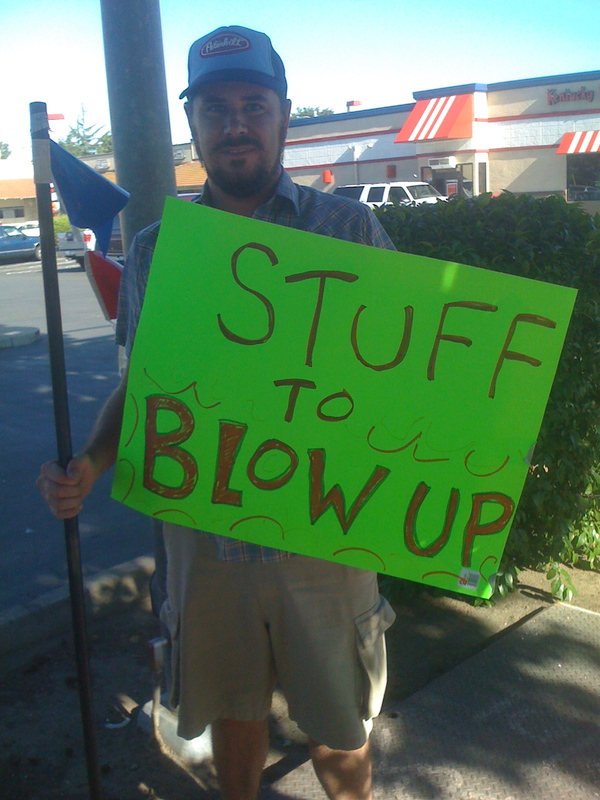 )), get yourself some stuff, sear it, blend it, cool it and eat it! Yummy. 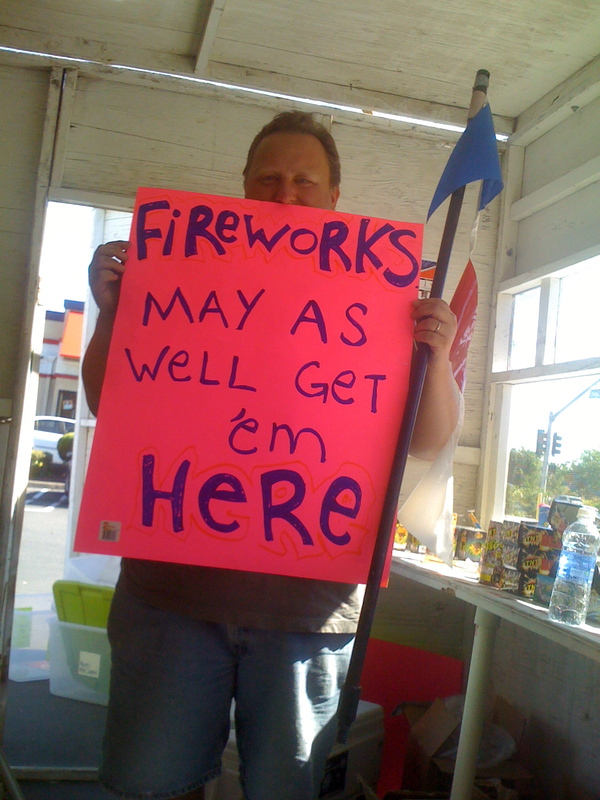 At the fireworks stand, we tried a few approaches.